GHP has launched a new program, in collaboration with H20OpenDoors, to install water purification units throughout Nicaragua. In July, our first unit was installed at the Hospital Nuevo Amanecer in Puerto Cabezas on Nicaragua’s Atlantic Coast. The unit is providing the community, which has limited access to drinkable water, with 20,000 liters of purified water every day. 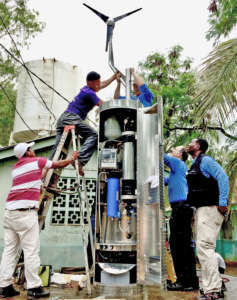 A second unit will be installed at Hospital Siuna in Las Minas, another community on the Atlantic Coast with limited drinking water. We’re hoping to expand this program over the next year, installing as many as a dozen units throughout Nicaragua at key Ministry of Health facilities. GHP is also collaborating with H2OpenDoors in Cuba, working with its Ministry of Health to provide water purification units to some of the areas hardest hit by Hurricane Irma. As soon as we receive an export license from the U.S. Commerce Department, we will deliver two units to Cuba; they have the same specs as the units we have installed in Nicaragua, each with the capacity to produce 20,000 liters of water daily. The first will be positioned at the Hospital Manuel Ascunce Domenech in Camaguey; the second location is being determined. We hope to expand this program aggressively in Cuba over the next three years, as the country’s water infrastructure is outdated and needs to be modernized.